I was working for a Kaiser Permanente research study performing echocardiograms, which use sound waves to make an image of your heart. When that clinical phase ended, I was out of a job. Fortunately, the Employment and Income Security Agreement gave me a year to find another position within KP. During that time, I completed an advanced echocardiography training program that was financed by the SEIU UHW-West & Joint Employer Education Fund. 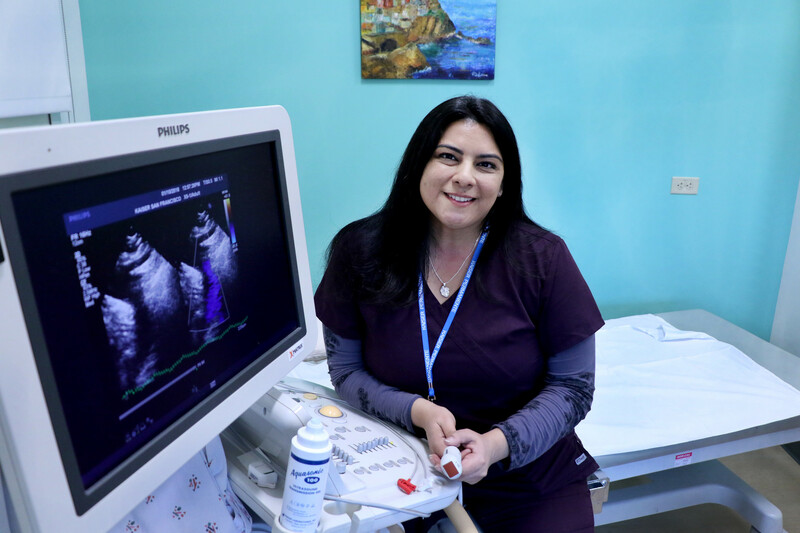 This training helped me qualify for a position as a cardiac sonographer at Kaiser Permanente San Francisco, working in a special clinic for patients with congenital heart disease. I find this field of work incredibly rewarding — you get to help children and adults born with heart problems. I’m so appreciative and grateful to Kaiser Permanente, SEIU and the Education Fund. Without them, I would still be where I was — looking for a position. They gave me the tools and the support I needed to continue my career.